Did you know that acquiring new customers can cost as much as five to seven times more than simply retaining existing ones? Studies also indicate that profitability tends to increase over the life of a retained customer. This means that the happier your customers are, the more inclined they are to become loyal customers who patronise your company again and again, even if you charge more than the competition. You can earn your customers’ loyalty by being their trusted advisor. For example, if a customer needs advice about a mobile phone that best suits his/her budget and lifestyle, then you should be able to help that customer pick the right device. In this case, you are the technology guru they can turn to. Remember, trust leads to dependence. Don’t make promises you can’t keep. If you tell customers their purchase will arrive tomorrow, it should arrive tomorrow. If you fail to deliver, customers might just take their business elsewhere. Excellent customer service is all about focusing on your customers’ needs and staying true to your word. That way, you can keep your customers from wandering off to your competitors. In a competitive marketplace, it pays to be proactive. Instead of waiting for problems to arise, address them before they happen. Reach out to your customers. Give them a courtesy call. Inform them of upcoming changes, such as flight reschedules or cancellations, and provide insightful recommendations. A proactive and personalised approach boosts customer retention and loyalty. Customers love to get more than what they think they are getting, whether it’s in the form of a future discount or a gift with purchase. They also notice when people make an extra effort, such as patiently listening to complaints and making appropriate responses, or fixing potential issues before they escalate. When customers are happy, they stick with you. They also spread the word, generating high-quality referrals. As more competitors enter the marketplace, simply providing a product or service is no longer enough. Excellent customer service plays an invaluable role in driving customer retention and advancing the bottom line. 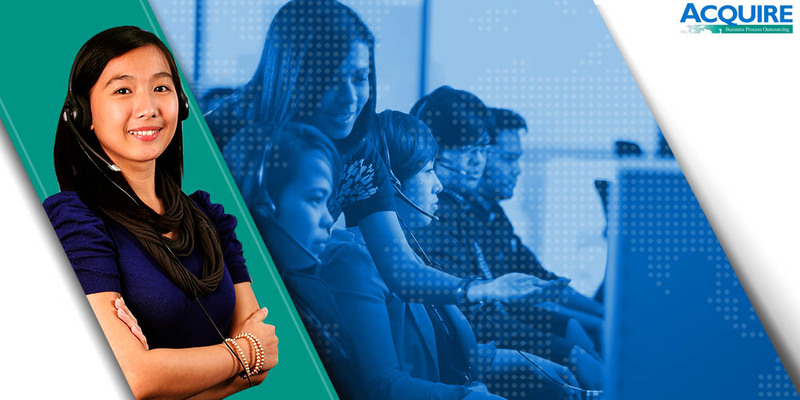 Explore more of Acquire BPO’s strategic customer service solutions that improve customer retention: https://acquirebpo.com/our-services/.